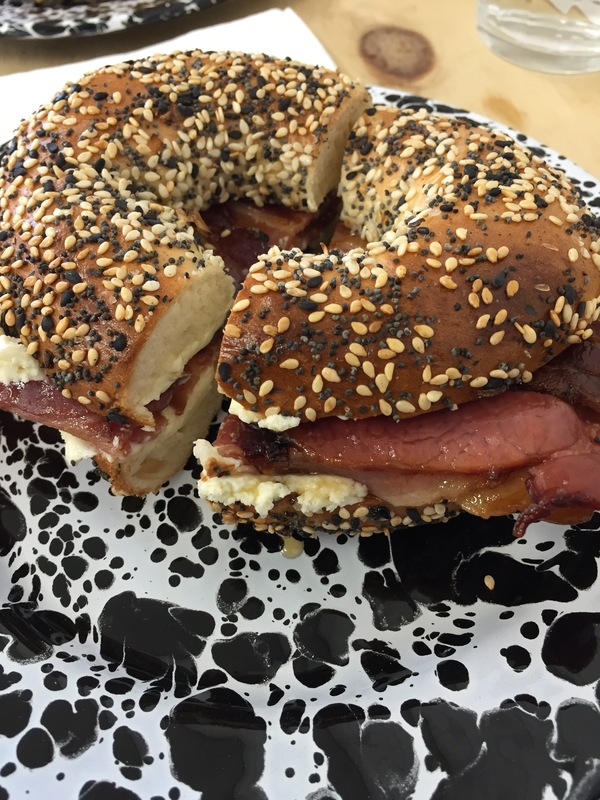 Mile End Bagel is one of those cool places you hear about and instantly want to visit. 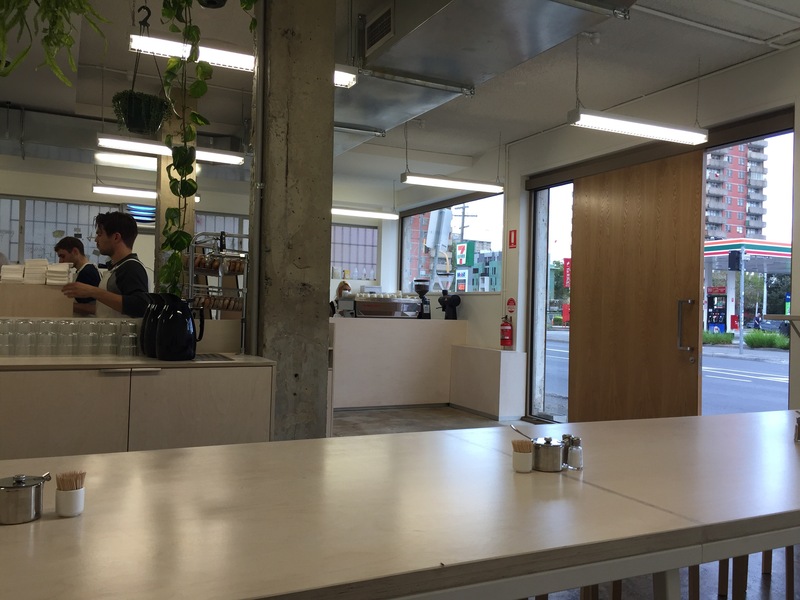 While the inside is very new, the outside is edgy and run down, disguising the true bagel-y goodness that hides within this Johnson St cafe! 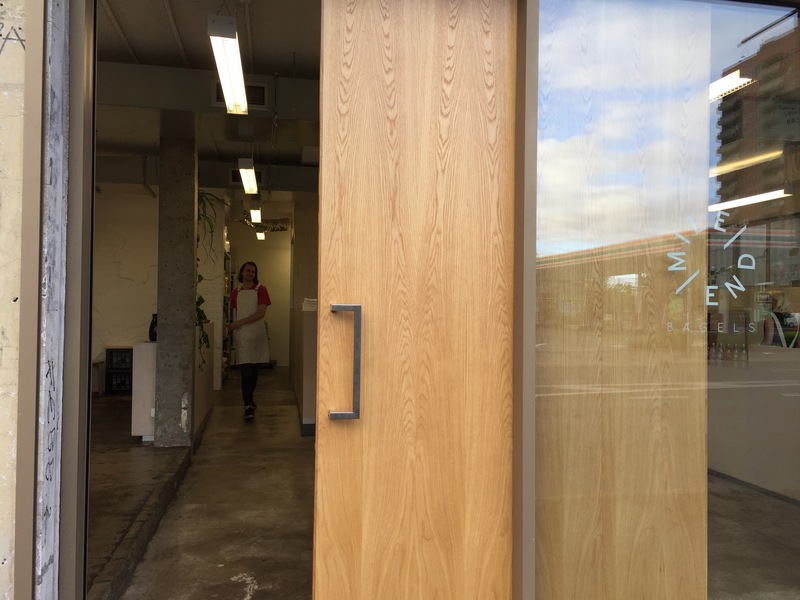 There’s a lot of white, a clean and raw fit out, accented by soft pines and offering a look into the bagel making process. Mile End even have a great couple of guys behind the counter. Those familiar with Standing Room Only in the CBD will be gleeful when they realize that not only is there bagels, there’s specialty coffee too! We had a look at the menu and opted to dine in, first placing our order at the counter. There were ten options to choose from – not just a simple cream cheese on a sesame bagel (though they have that too!). As expected, the coffee at Mile End Bagel was delicious. 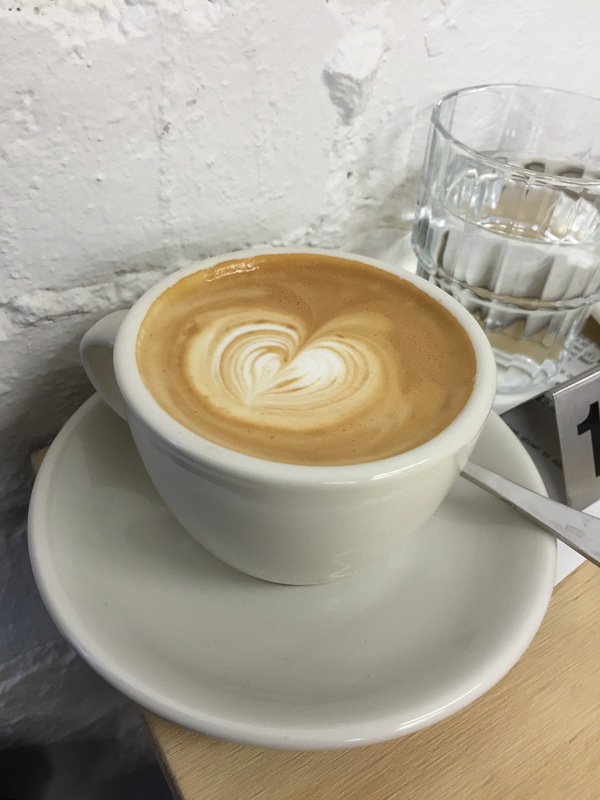 The lattes were smooth, creamy, light and a touch sweet. Everything you could want in a morning brew. The only downside is that for $4.50 to dine in, even for specialty coffee they’re pretty pricey. 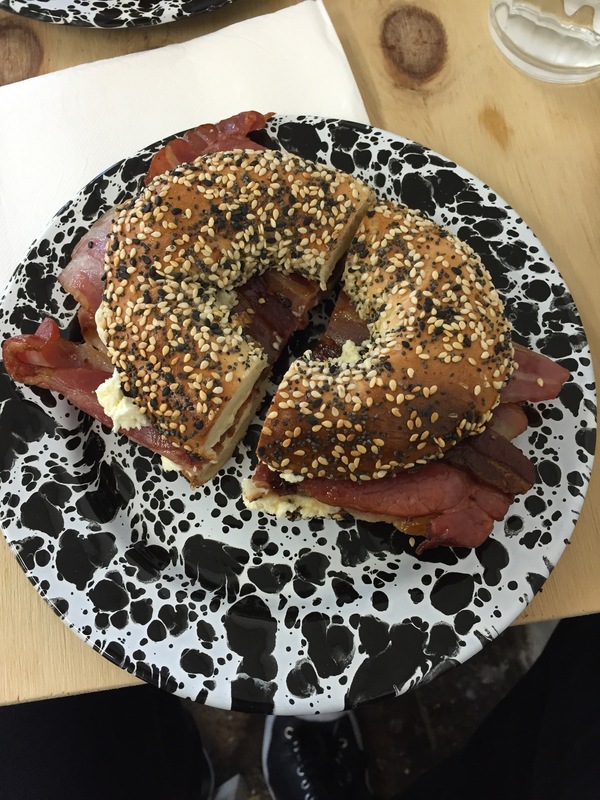 Next came the bagels, one of our favourite breakfast foods and a brilliant thing to specialize in! The no. 7, a Double Bacon has all of the good things we look for. Bacon, double bacon even, as well as maple syrup and a lot of cream cheese. It’s a classic flavour combination done with generosity on a nice chewy bagel, we couldn’t have asked for more! Next up, a no 4. 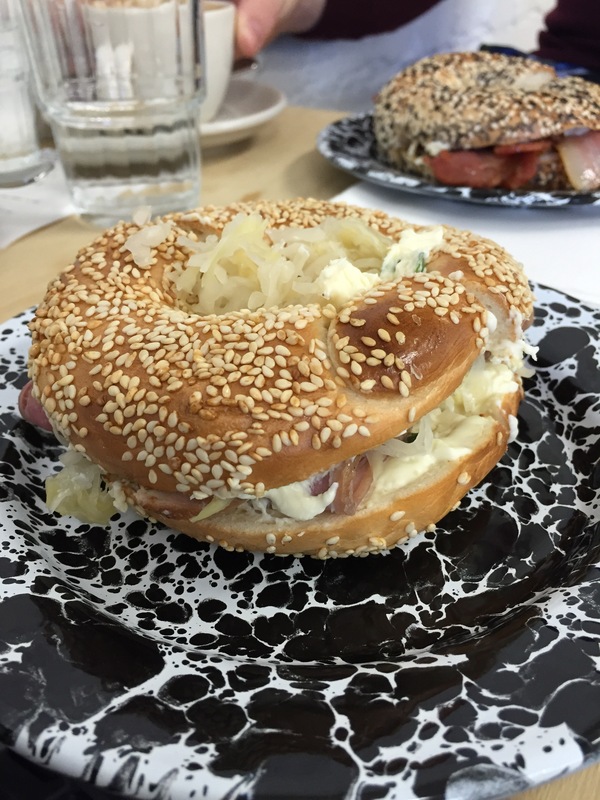 Smoked Beef, with sauerkraut, spring onion and a whole lot of cream cheese on a sesame bagel. The smoked beef was light and thin, with lashings of cream cheese, tangy spring onion and cut by the sharpness of the sauerkraut. A killer combination for a savoury bagel fan! 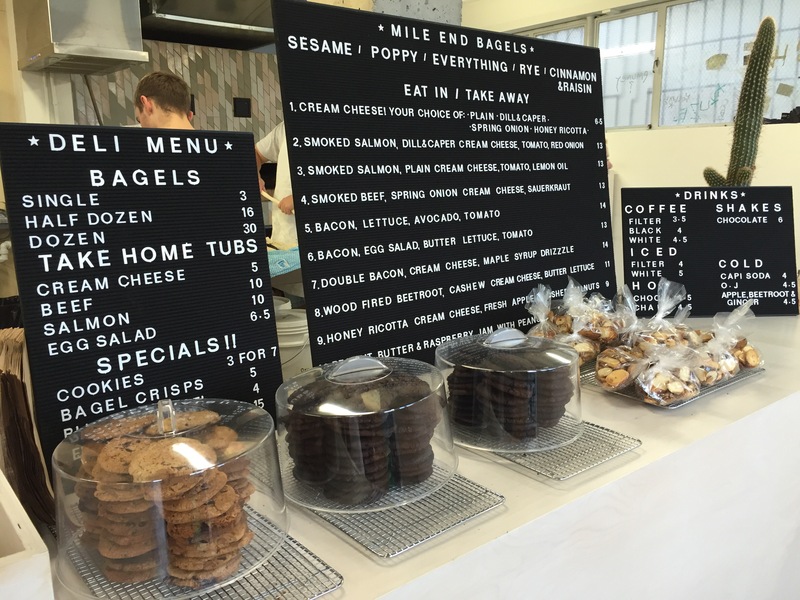 Mile End Bagel combine two things close to our hearts, coffee and bagels. Sure it’s a bit pricey, but for the quality and the crew it’s a price we’re happy to pay!